Amnesty International severely criticized a justice deal between Colombia’s government and FARC guerrillas in its annual report that was published Wednesday. The NGO’s criticism centers on what they consider to be shortcomings in the transitional justice deal that established a transitional justice system that should provide justice for the millions of victims of the country’s 51-year-long armed conflict. According to AI, this deal doesn’t meet international standards when it comes to granting truth, justice and reparation to victims. “In proposing sanctions that do not seem to be proportionate to the gravity of the crimes under international law, Colombia could be in breach of its obligation contracted under international law to prevent and punish such crimes,” stated the report. Disregarding the seriousness of a war crime or atrocity, a convicted war criminal can receive no more than 5 to 8 years’ “effective restriction of freedoms” if he or she collaborates with justice. This restriction of freedom has yet to be defined, but explicitly shields collaborating war criminals from going to prison. Those who refuse to cooperate would face up to 20 years in prison if found guilty. In its report, the London-based NGO also criticized the inability of the Colombian justice system for its high degree of “impunity” for war crimes that have been reported years ago. “The state still did not bring to justice the vast majority of persons suspected of being responsible for crimes under international law,” said the report. AI put the shortcomings of the recent negotiations on justice with the FARC in the context of successive Colombian governments failing to effectively administer justice. The report criticized the process driven by former President Alvaro Uribe to demobilize 30,000 paramilitaries between 2003 and 2006. “Only 122 of the more than 30,000 paramilitaries who supposedly laid down their arms in the demobilization process had been convicted of it relating to human rights crimes at the end of the year,” the report said. The FARC will go through a similar transitional justice process as the AUC did more than a decade ago, leaving concerns that the guerrillas and state agents accused of war crimes could enjoy the same level of impunity. The Colombian state, the country’s leftist rebel groups and the right-wing paramilitaries generated more than 7 million victims during the armed conflict that began in 1964. 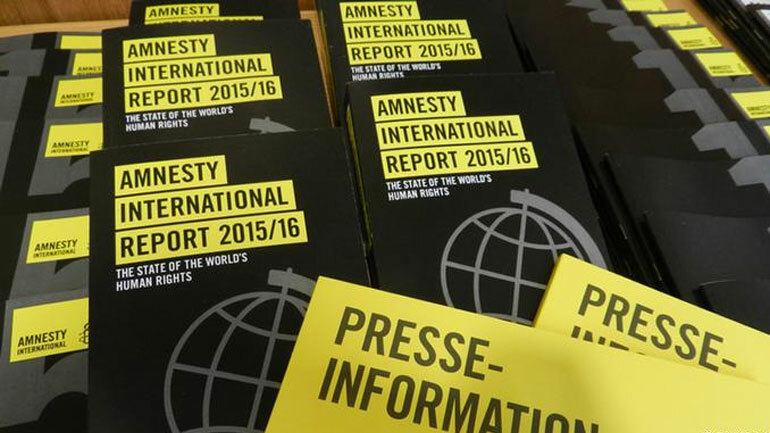 Amnesty’s criticism followed that of Human Rights Watch, which also warned that the deal could lack the adequate punitive element of justice. If prosecutors of the International Criminal Court agree with the human rights organizations, they could overrule Colombia’s transitional justice system and prosecute alleged war criminals at the tribunal in The Hague.